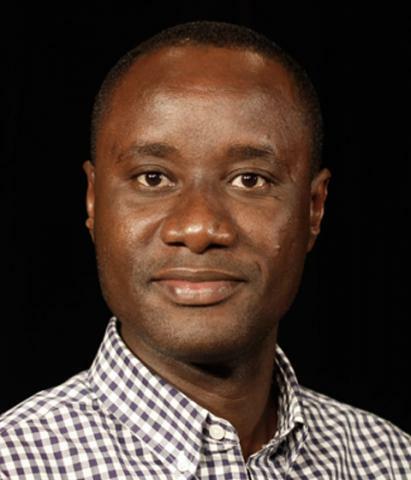 Dane Kiambi is an assistant professor of public relations in the College of Journalism and Mass Communications. He has a keen interest in the role and impact of public relations and strategic communications in fostering democracy, good governance, economic growth and healthy lifestyles, particularly in the developing world. A native of Kenya, Dane worked for two years as a media executive with the largest indigenous public relations agency in Nairobi, Kenya’s capital city. His public relations clients were drawn from the banking, telecommunications, insurance and airline industries. Dane designed and tested messages for communication campaigns, implemented research on target publics and interpreted the results, pitched proposals to new clients, organized media interviews, designed and edited in-house newsletters and provided media training to clients. Prior to joining public relations, Dane worked as a news reporter with the third largest daily newspaper in Nairobi. In addition to reporting from Kenya’s National Assembly, the courts, city hall and the general beat, Dane also generated and wrote exclusive investigative stories touching on various aspects of the Kenyan society. Upon moving to the United States, Dane completed his undergraduate and master’s degrees at Miami University (Ohio) before moving to Texas Tech University for his doctoral studies in mass communications. He graduated with a doctorate in August 2013. As a graduate-part time instructor at the College of Media and Communication, Texas Tech University, Dane taught research methods in mass media, public relations strategies and mass media theories and society. He was invited as a guest lecturer in classes on crisis communication, international advertising, and public relations management. In spring 2013, Dane won the coveted Excellence in Graduate Teaching Award offered to a select few by the Texas Tech University Graduate School. Dane’s research interests are in reputation management, crisis communication, international communication and health communication. He has published research articles in Public Relations Review journal and presented his peer-reviewed work at national academic conferences. In 2010, Dane won a top paper award for the master’s education division at the National Communication Association (NCA). In spring 2013, he won a second place presentation award at the annual Texas Tech University Arts and Humanities Graduate Student Research conference. Classes he teaches at University of Nebraska–Lincoln include strategy development for advertising and public relations and a special topics class in international public relations. Dane loves cooking, running and riding the bike trails.